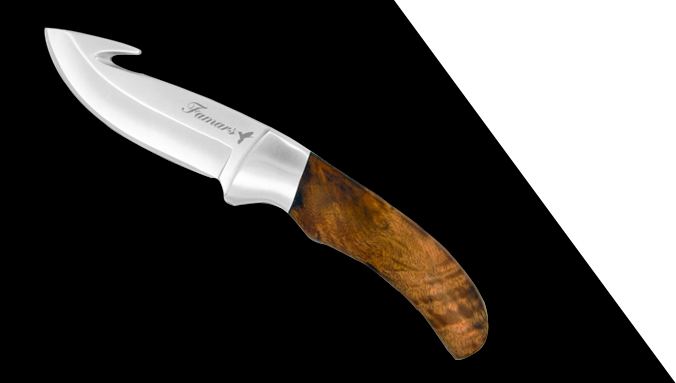 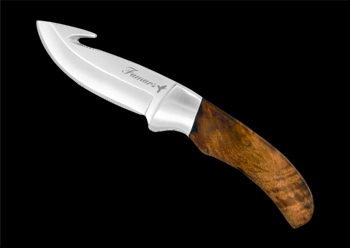 This knife is perfect for skinning medium sized game. 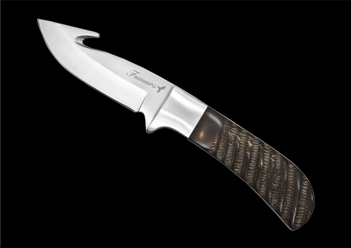 Great to carry with you in the field, light, with an amazing sheath that slips right into your belt loop. 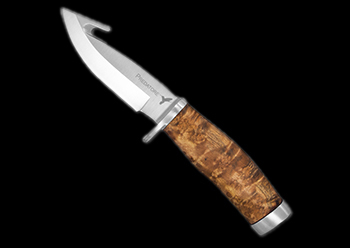 The handle is durable burl.